Home > Latest > Privacy & Security > Google is manipulating you… time to know you’re already a victim. Google has changed a lot since its birth as a search engine. It kind of changed from “giving search results” to “giving answers” in recent times. It is not an exaggeration, Google is inevitable in the digital life of a common man. In the past 2 years, I presume everyone reading this, would have never visited the second page of the search results in Google. Most of us never passed through the first 5 or 6 links. Google always managed to end our quest in the first 4 to 5 search results, thanks to its super solid search algorithms. Over the course of time, we started to believe the first few results is all we have to know or see. Psychologically, this kind of trust is accumulated to us due to the series of positive experiences with the search service. At a certain point of time in this path, “we ask questions to Google, but we never question Google”. This makes us vulnerable by giving the chance for Google to manipulate us. Let me try to explain how you been victimized by Google. There are two major ways. One is by using ‘filter bubbles’ and another is by defying ‘search neutrality’. We’re different, distinctly different from each other with different preferences in consuming internet. So, it is obvious that Google can’t satisfy everyone with the same result. So Google does some touch-ups to the normal result which is supposed to be delivered. The touch-ups include the reshuffling of a search result list, excluding some irrelevant links to the user’s area of interest and some more. These touch-ups are done based on the user’s profile. Read also Android phone on your child's hand? Here's how to use parental control on it. When I say “user profile”, it is not the details like age, address, gender you gave to Google when you set up an account. Google profiles each of its users in a most sophisticated way than that. 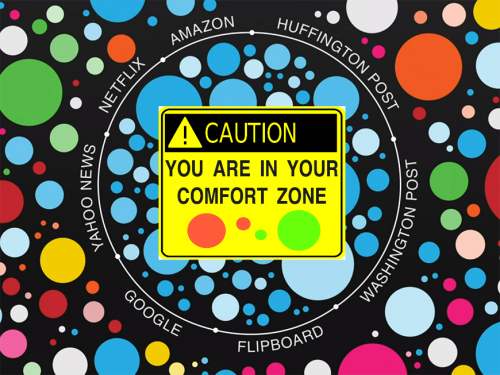 Everything you do on Google and off Google is being processed by algorithms. When I say “off the Google”, Google tracks your activities all most all over the internet with its ‘trackers’ employed by more than 70% of websites online. Cookies, browser history (when you use chrome), location history from your phone (from IP range, if you’re using a computer), YouTube video watch history, etc ., etc.. That doesn’t stop there, Google also has the collection of data like ads you clicked, links you clicked in the search pages, time you spent in other sites and much more relevant data that possibly give meaning in a scale. I have covered an article about this at Alvistor, “Do you know how much Google knows about you? Take control of your privacy now”. Take a moment to check the below picture. You can see the difference in the order of search results based on my previous activities and preferences. While the normal search result is from Google for the same search word is differently ordered, which is supposed to be the order based on the relevance, not on preference. Not only Google doing this, most big shot search engines including Bing, Yahoo does that. With sufficient time given, Google knows all your likes, dislikes, the area of interests, political inclinations, etc., etc.. Now it will not show you search results that are objective or in the order of relevance to the search term. They will show you what they think you are more likely to click on. Cutting edge tech with super efficient algorithms backed by AI gives the power. Eventually, they’ll put you in a ‘bubble’ by showing you only things you agree with. Technology experts call this ‘filter bubble’. Let’s say, you’re political view is in favour of the current government and you have read the articles previously that written in favour of the government. Now Google assumes your political inclination and shows only the segregated results at first when you search. Again you click the ‘links’ that has a favourable view towards the government, then Google’s assumption being proved right, it again presents your search results in future that mostly favours your opinion. 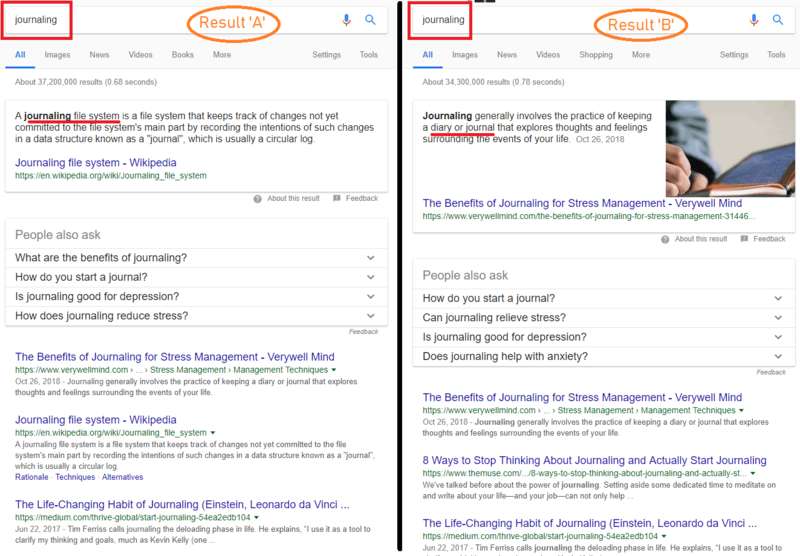 This is how Google always succeeds in presenting search results that you end up clicking first few results and not moving towards the next page of the result. Read also How to use Confidential Mode on Gmail? What happens now? You’re constantly fed with information that supports the government and you’re virtually made blind to the other side, in our case, you’ll have significantly far less opening to articles against the government or even to the neutral contents. This way you’re completely isolated from another side of the world. Now relate this example to all other areas like food, film, sports, etc. You only see what you like to see. 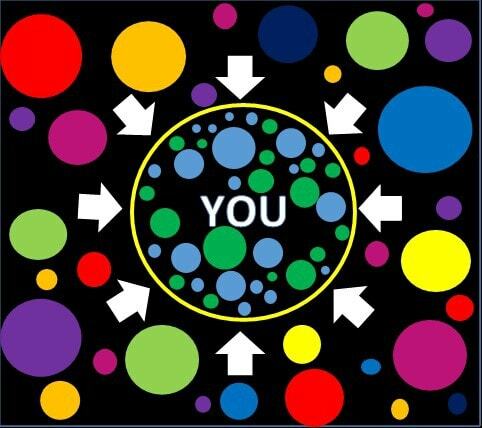 If you’re lucky and your bubble may get bigger in size and you can see newer things. Unfortunately, people who’re not aware of this truth gets locked up into the bubble and never get out of it to see the whole picture. Ironically, the more you search in Google the more you become intellectually isolated. Over the years, you may not want to change your viewpoints contradicting to your current choices. Most of us don’t want to come out of our comfort zone, right? This is how you’re manipulated. Give a glance to the below picture. There’s two result page of Google search (Result A and Result B) when searching for search word “journaling” from two different Google accounts. Result A, shows items more relevant to a technology-oriented person, talks about a computer file system. Result B, talks about diary writing, relevant to a common person. This shows that user account of Result A is in one bubble and Result B in another. This is the simple example of how ‘filter bubble’ works. I assure you, Google’s main intention is not to manipulate you. 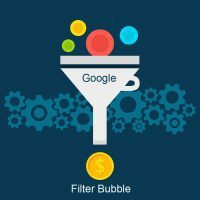 The filter bubble is designed to give users more relevant, suitable and efficient search results. But seeing the other side, it might become the curse in future, a bad consequence of the design for which we’re the victims. Google is not the only search service that is doing this. Facebook and other sites do this on a major scale than Google. In future, I try to cover more on these privacy issues in Alvistor.